The Midland Carriers Model LF 2640 Lay Flat hose retrieval and deployment system is the newest addition to the Midland Carriers product line. It is designed and manufactured to retrieve and deploy lay flat hose up to 10" diameter. 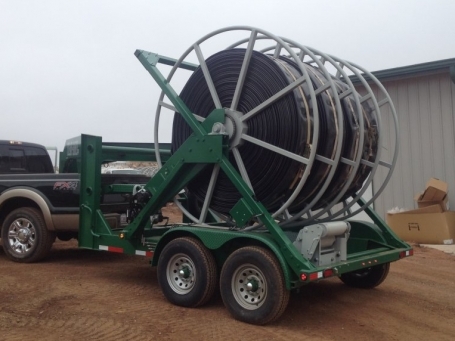 The LF 2640 can transport up to four 660 ft. sections of 10" lay flat hose.